The Ministry of the Altar consists of assisting at weekend liturgies, funerals, weddings and other special liturgical celebrations. An invitation is extended to boys and girls through the day school, PSR classes or through the bulletin in the latter part of the fifth grade to attend several training sessions before assuming this liturgical responsibility as sixth-, seventh- and eighth-graders (and older). This is a group of men and women committed to enhancing the liturgical space seasonally, as well as for other liturgies and prayer services. Job duties include setting up and tearing down seasonal displays, watering plants, moving furniture, and cleaning up and storing of items. We need people with an interest in art, interior and floral design, and sewing. Carpenters, craftsmen and people able to climb a ladder to great heights are needed. Time commitment varies seasonally with most help needed during fall, Christmas and Easter seasons (an average of 3 to 5 hours per season is requested). There are no regular meetings to attend, but members may be called as needed during the seasons. To open children’s ears and hearts to the Word of God; to give children experience in different ways of prayer; to explain the signs, celebrations and seasons of the liturgy; and to prepare them to enter the worshipping assembly. The CLOW Rite begins at Mass during the Liturgy of the Word in which children in grades kindergarten through grade two are invited to their own worship space (the Loyola Room, downstairs) to experience the Liturgy of the Word at their own level. At our parish, children have the choice to participate in CLOW at the 10 a.m. Mass. Lay ministers are needed to facilitate, following the detailed guidelines provided each week. The CLOW minister proclaims the same readings heard at Mass, worded in the “Lectionary for Children,” then facilitates a short discussion, a Children’s Creed and Prayers of the Faithful, and returns the children upstairs. There is also a vital need for an assistant, since there are always two adults with the group at all times. Many opportunities for training and workshops are provided here for this very rewarding ministry—sharing your faith experience with our children. The sacristans are men and women who work in teams of five people every two months for one and half hours on a Friday during the day or Saturday morning to clean the sacristy and sanctuary areas of the church. Extraordinary ministers of Holy Communion are fully initiated members of the Roman Catholic Church who seek to live a life in accord with the faith of the Church, including registration in the parish; weekly attendance at Mass; reception of the Sacraments of Reconciliation and Eucharist; daily prayer; if married, Catholic Church-recognized marriage; divorced or single, a life marked with chastity and virtue. Candidates strive to be worthy of this great office, foster their own devotion to the Eucharist, and show an example by their own devotion and reverence. Candidates should be open to ministering at daily and weekend Masses and be willing to bring Holy Communion to the homebound and those in nursing facilities. Students entering senior year of high school may be trained for this fulfilling ministry in their parish or at their Catholic high school. Additional requirements and an interview may be necessary before being selected to train for this role. Liturgy Commission is a group of liturgical ministry leaders and others interested in planning for all aspects of worship. Music, art and environment, as well as the ministries of Usher, Altar Server, Extraordinary Minister of Holy Communion, and Reader are areas under consideration by Liturgy Commission. The group meets once each month throughout the year. 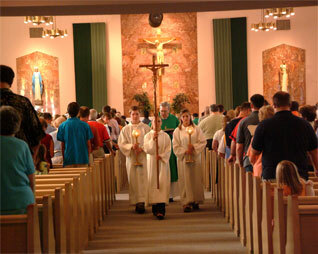 Men and women of the parish who have been called to this ministry are privileged an responsible for prayerfully proclaiming the Word of God at weekend Masses, Holy Days and other special services to encourage and facilitate, with other ministries, full and active participation so that they may project scripture clearly, distinctly and effectively. Materials, both in hard copy and electronic form, are available to assist in the preparation of readings. New readers are trained before serving in this ministry. Ongoing assistance is provided to readers as they continue to serve in this ministry. If you are interested in serving in this special and rewarding ministry, please contact one of the reader coordinators. Can you offer a few hours of your time for this one-day ministry? 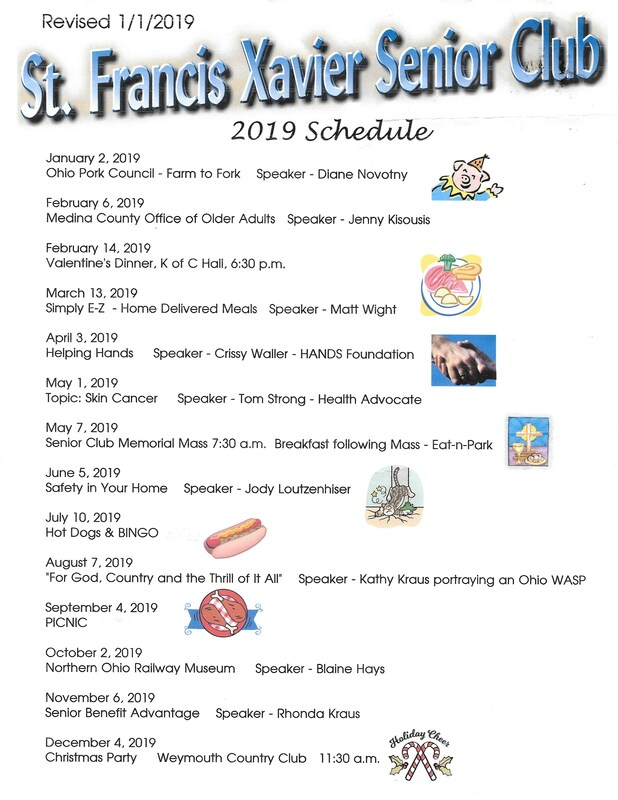 Please join us one day in March (stay tuned for the precise date to be scheduled) from 9 a.m. to noon to provide a thorough cleaning of the sacristy. You will be contacted by phone and given all pertinent information. 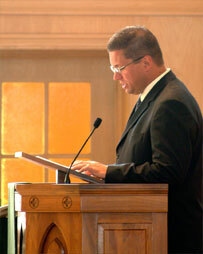 Ushers are people willing to meet and welcome parishioners in a helpful manner as they enter the doors of our church. They are men and women of high school age and older. They may hold the door, smile and greet visitors, direct visitors to the restrooms or baby-changing facilities, and generally be the friendly face of the parish to all coming to worship. In addition, ushers assist with the collection, direct the Communion procession, distribute bulletins and straighten up pews for the next liturgy.